Day 5 of the Daily Photo blog project. I really hope I can keep this up. It’s an image many have taken, the Statue of Liberty, an American icon, a French gift, a tourist tick-box, a postcard to friends. 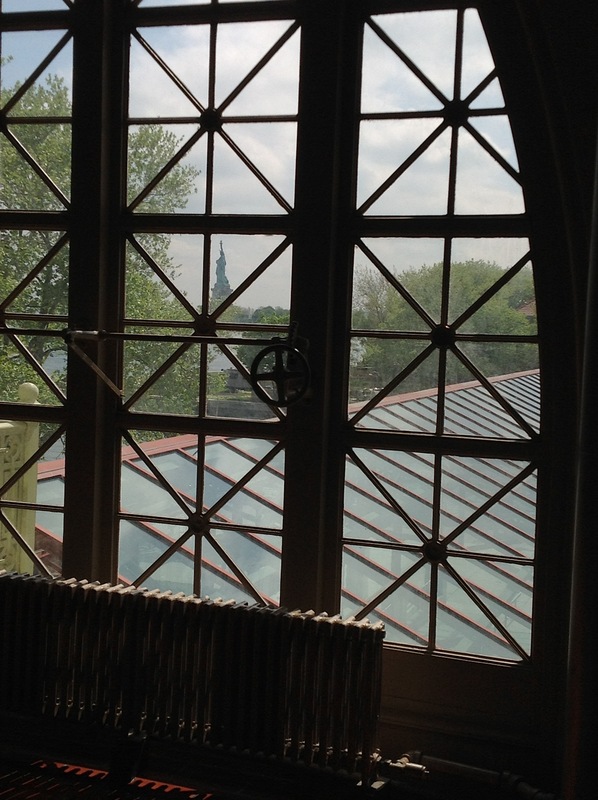 And yet, through the bars of the Registry on Ellis Island the symbolism of that lady of enlightenment, the beacon of hope for so many, those whose stories were about to begin, or end, is both shocking and wonderful. So close to freedom they could see it if not touch it. It filled me with great sadness. And I wonder how much it has changed. We have given much of our personal freedom in this brave new world.